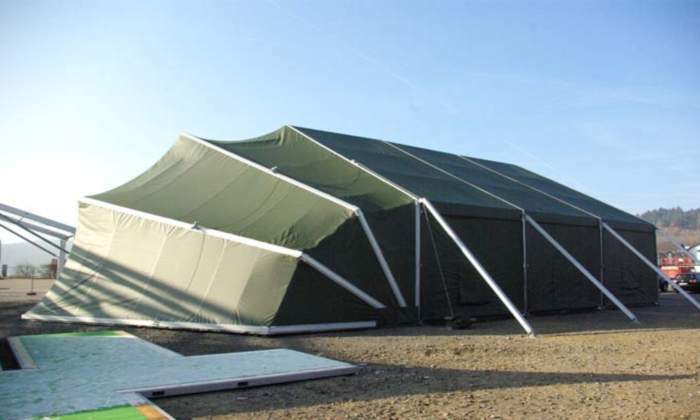 HTS Rapid Deployment Shelters (HTS-RDS) is the military shelters division of Röder HTS Höcker, a world leader in the design, manufacture and supply of temporary structures. The HTS-RDS division was set up to focus on suppling international military and humanitarian organisations with the highest quality shelters, in the quickest, easiest, fastest and most economical way possible. Heinz Röder, one of the founders of the aluminium tent industry, set up this new division to bring his wealth of tent industry experience and knowledge into the military and relief organisation sector. HTS-RDS has developed a revolutionary generation of military shelter that combines the use of carbon with aluminium for the main frame components. The Carbon-Hybrid range is unique to and fully patented by HTS-RDS. 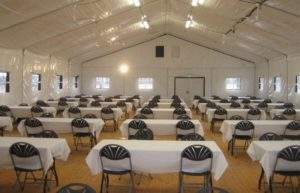 These millitary shelters offer a lighter, yet stronger alternative to an equivalent traditional shelter; achieving up to 35% less packaged weight and 50% less packaged volume. This weight saving translates into substantial advantages for the user in terms of general loading, handling and installation costs. HTS-RDS range of products can be used in almost every field of operation within the military and humanitarian sectors worldwide. 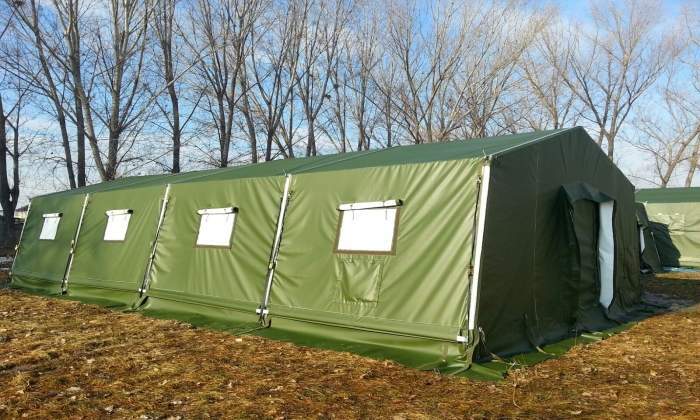 All HTS-RDS military shelters are available in a variety of sizes and specifications and suitable for single or full camp solutions. Main components manufactured from extruded structural grade aluminium or lightweight carbon reinforced alloy profiles. 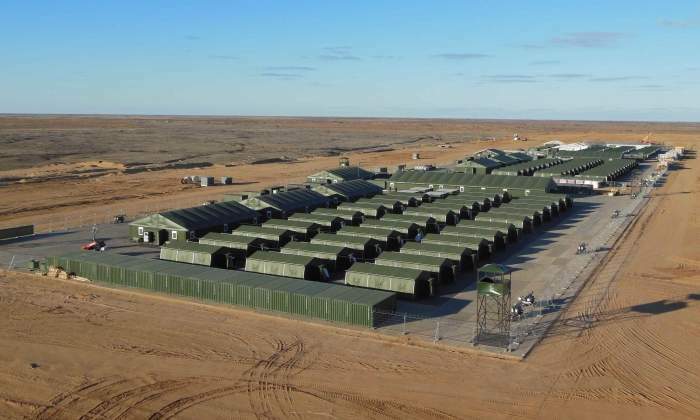 Whatever the requirement we can supply a shelter to fulfil the need, either from our standard range of military shelter systems or with a bespoke custom designed project. 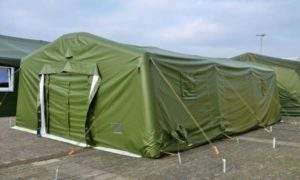 HTS-RDS can provide complete military field camps, mobile hospitals, command posts and airfield buildings, this can even include all internal equipment. 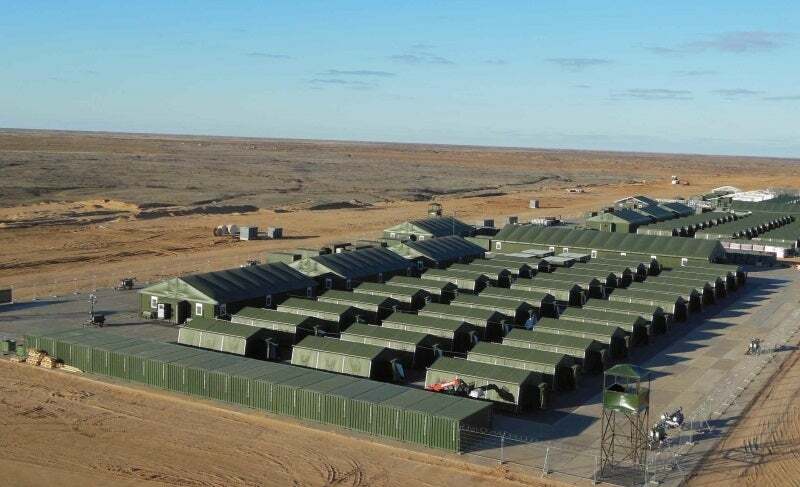 These camps can be equipped with wastewater management, waste management, electrical wiring, heating, ventilation and air conditioning (HVAC), electrical power generator and kitchen units. 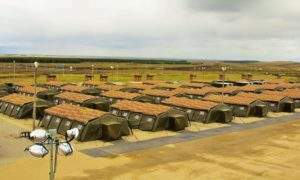 Camps can also be partitioned into different zones for the soldiers, creating a completely modular camp. This service can provide a full-spectrum customised design for clients with specific requirements. The service also includes qualified installation teams who are available for deployment worldwide to fully manage or advise on projects for both military and humanitarian applications. The head of HTS-RDS, Michael Zeh, along with the team, will be in Abu Dhabi this February presenting the company's full range of military shelters at IDEX 2019 – International Defence Exhibition & Conference. Rapid Deployment Shelters (RDS) are designed to fulfil multiple functions including: accommodation, catering (mess) tents, equipment storage, operational offices, maintenance workshops and aircraft shelters for the military, governmental, humanitarian and aid relief sectors. 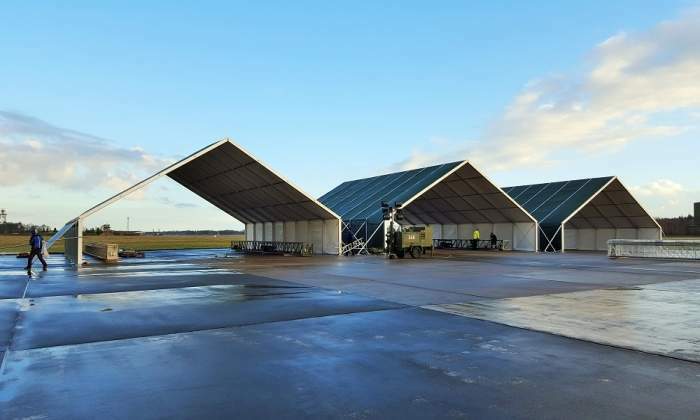 The range of aircraft hangars and maintenance shelters are the largest military shelter we supply, with the standard range going up to 60m in width, 14m roof height and customised ranges going up to widths of 70m. They are strong and durable with high snow and wind tolerances and relatively easy to transport and install. The latest generation of military shelter is available exclusively and only from HTS-RDS. Our new and fully patented, carbon-hybrid range of shelters achieves the optimum in strength and weight. 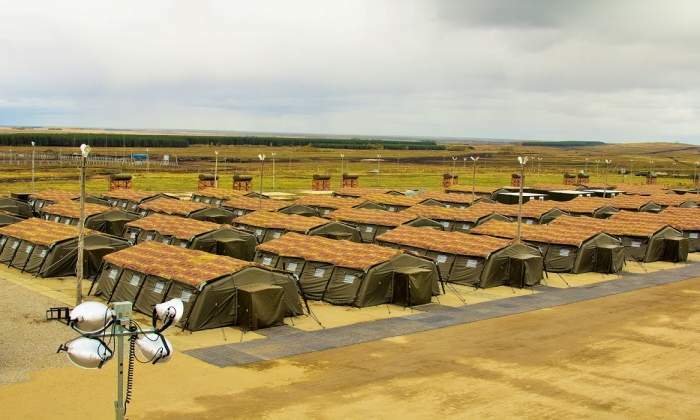 Complete turnkey military camps can be provided by HTS-RDS on either a temporary, semi-permanent or permanent basis. The HTS-RDS Inflatable Military Shelter features an extremely fast and easy set up that takes around five minutes for one or two people. These shelters are also very adaptable and suitable for a variety of living and working spaces. 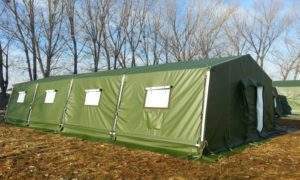 The HTS-RDS Troop Military Shelter is our core product range. It can be supplied as a single unit or for complete field camp solutions as a living or working space. These shelters are strong and reliable, easy and fast to deploy, available in a range of sizes and adaptable to varying climates and environments with a wide choice of accessories. HTS Rapid Deployment Shelters (RDS) will present its core range of military shelters at the company’s world-renowned Tent Expo, Wächtersbach Exhibition Ground, Germany, between 14-17 November. The focus will primarily be on the TRZ - Military Troop Shelter range and the ABZ - Inflatable Shelter range. The team at HTS Rapid Deployment Shelters (HTS-RDS) will be seen at multiple defence and temporary structure exhibitions throughout 2018, including Eurosatory on 11-15 June in Paris. The team will be featuring their product range, as well as their recent ground-breaking carbon-hybrid products. RDS-HTS is the Military and Humanitarian Division of the global temporary structure manufacturer RÖDER HTS HÖCKER; a family run business with the owner Mr Heinz Röder and his son Wilhelm Röder actively playing a part in its daily running. HTS-RDS were recently required to design, manufacture, supply and build an aircraft maintenance hangar for military aircraft and special military vehicles. Mobile storage and maintenance space for military vehicles and aircrafts can sometimes be challenging. Military aircraft hangars and vehicle maintenance shelters need to be large, strong and durable but remain demountable, relocatable and easy to deploy globally. Röder HTS Höcker are thrilled to announce the re-launch of their military and humanitarian division. The full range of Röder HTS Höcker Military Shelter Systems will be on display this year at the Company's world renowned Tent Expo, Wächtersbach Exhibition Ground, Germany, between 9-12 November. Designed and fully patented by Roder HTS Hocker, the new lightweight carbon hybrid shelter series delivers an unparalleled combination of fast deployment with superior performance for military and humanitarian markets. An aircraft hangar was needed for a 'Tornado fighter-bomber' of a leading European military force. Röder HTS Höcker will be presenting its revolutionary Carbon Hybrid Military Shelter at the Eurosatory Exhibition in Paris, at the Viparis Nord Villepinte Exhibition Centre between 13-17 June, at Hall 6, Stand K61. This year Röder HTS Höcker, one of the world's leading manufacturers of clear span structure systems, will exhibit at the largest military show in South America - FIDAE.